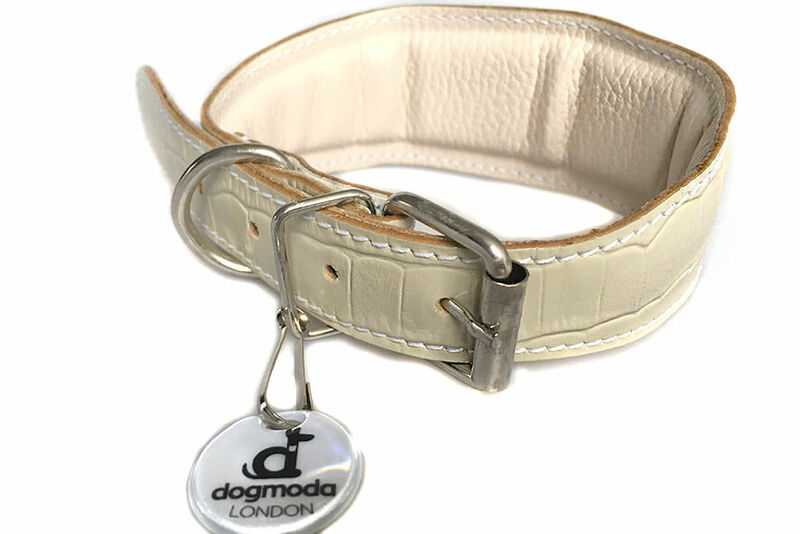 This simple yet stylish hound collar is made from cream embossed leather imitating snake skin pattern. 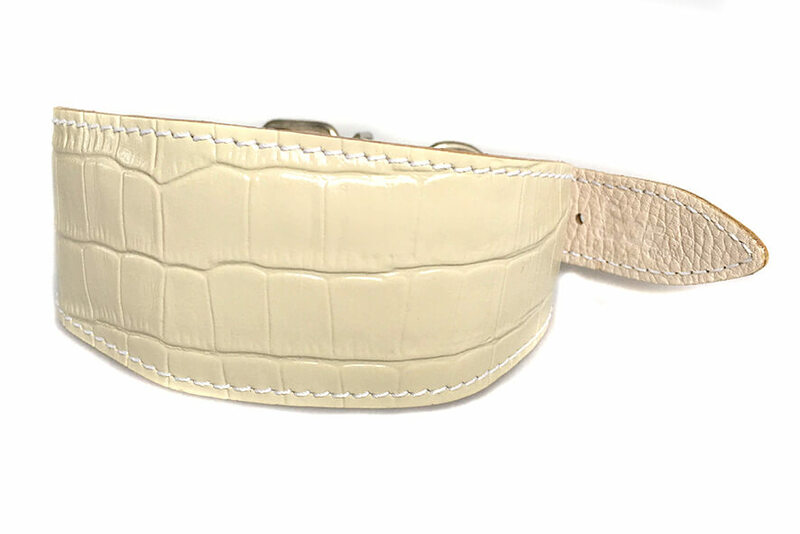 Very lightweight and comfortable on your sighthound's neck this collar is fully lined with soft off-white leather and generously padded for ultimate comfort. 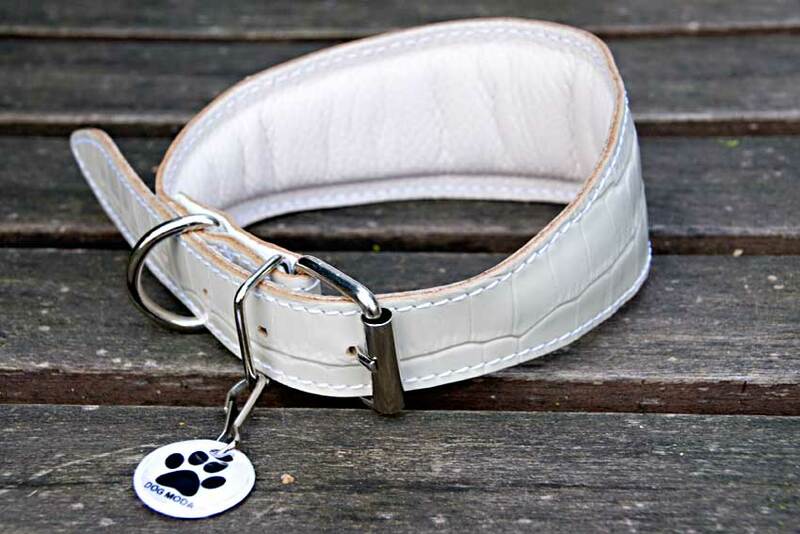 Due to the nature of embossed leather no two hound collars are the same, each collar has a unique pattern. This is a very elegant sighthound collar that looks great on cream, black and silver brindle hounds. 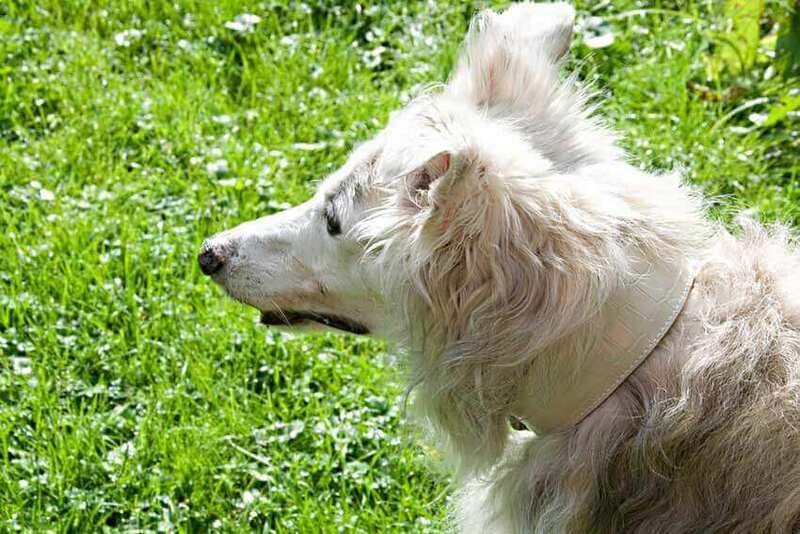 One of the images in the picture gallery shows this white reptile hound collar on a Silken Windhound. Thank you so much for your help and efficiency, the white leather hound collar arrived this morning and it looks great on the dog! 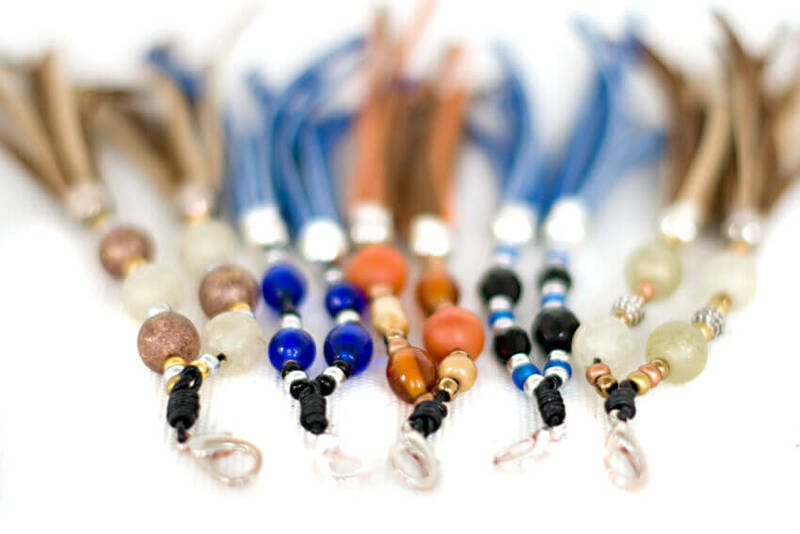 We will keep our eyes on your website and am sure we will be ordering again before very long!